An exclusive behind-the-scenes look at the infamous unraveling of the Fyre music festival in 2017, which was billed as a luxury music experience on a posh private island but failed spectacularly in the hands of a cocky entrepreneur. Created by Billy McFarland and rapper Ja Rule, Fyre was promoted as a luxury music festival on a private island in the Bahamas featuring bikini-clad supermodels, A-List musical performances and posh amenities. Guests arrived to discover the reality was far from the promises. Father Brown returns to solve more mysteries in the sleepy Cotswold village of Kembleford in the 1950s – a countryside dotted with small villages, rural parish churches and large country houses. In the season premiere, Lady Felicia and Mrs McCarthy are taken hostage when a midnight train robbery goes awry. After answering a distress signal from the U.S.S. Enterprise, Season 2 finds the crew of the U.S.S. Discovery joining forces with Captain Christopher Pike on a new mission to investigate seven mysterious red signals and the appearance of an unknown being called the Red Angel. While the crew must work together to unravel their meaning and origin, Michael Burnham is forced to face her past with the return of her estranged brother, Spock. The first round of auditions begin as highly-skilled dancers between the ages of 18 and 30 showcase their talents in various dance styles including contemporary, tap, hip-hop, ballroom, animation, breaking and more. Those who are selected to move on to the SYTYCD studio will work with world-renowned choreographers and compete each week for America's votes in a variety of styles. Contestants will be eliminated weekly until a winner is named on the season finale. Simon Cowell, Amanda Holden, Alesha Dixon and David Walliams return once again to their rightful thrones on the judging panel in the search for the most exciting talent around. Over the past few months the team have travelled the length and breadth of the UK looking for that winning act who can not only capture the heart and imagination of the Great British public but who is also fit to perform for a Royal. 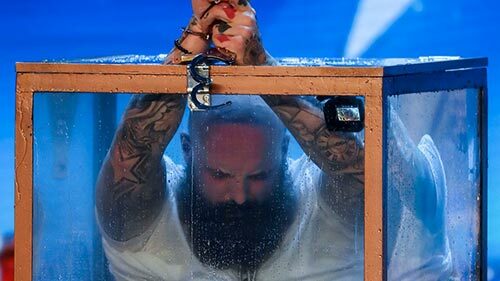 A host of variety acts take to the stage in the first round of auditions, including a mind-reader, a kid singing sensation and a Japanese magician who strips naked. Season 17 of the quiz show is full of facts about topics starting with the letter P, but the questions are so difficult the panel almost never get a right answer - so points are only awarded to contestants if they give answers that are deemed "quite interesting". Naturally, the show boasts a host of witty guest contestants from the world of entertainment as well as the hapless and truly unfathomable Alan Davies. Mike puts his revolutionary ideas about achieving social change into action. In a most unusual way. The Party That Never Happened looks excellent. Such a sign of our times where hype belies the truth.